This is the discharging tab. When the phone is unplugged all the data will be live. When you are charging, you will instead be shown the historical data for the most recent discharge session. This will be identified by an orange banner indicating the discharge sessions start and end time. The current battery level is shown at the top in green, below it you'll find our estimates for time remaining on current charge. It's split into time remaining based on mixed use (first icon), time remaining if you keep the screen on (second icon), and time remaining if you keep the screen off (third icon). All estimates are based on your usage patterns over the last 7 days. The mix ratio is estimated from your regular screen on/off ratio. The battery used sections is broken down into 4 boxes and indicate how you've used your battery since you unplugged it from the charger. The 2 boxes at the top split your usage into screen on and off and give the battery % you've used up in each mode. The total mAh used and the duration you've spent in each mode is also given underneath. The 2 lower boxes give you a quick indication of the apps using the most battery (since you've unplugged your phone) and how many minutes you've spent in deep sleep (a battery saving mode that turns on when your screen is off). If you find that your deep screen % is low then you might want to look into which app is keeping it from going into deep sleep. Discharging speed turns the total amounts from the 'battery used' section into speeds (by taking into account the amount of time since you've unplugged your phone). 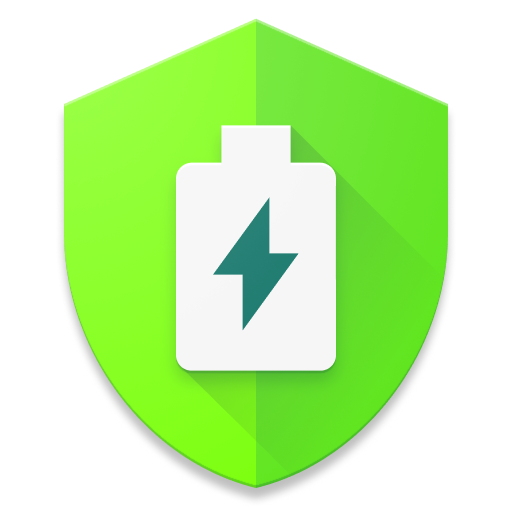 AccuBattery calculates the per app battery usage a bit differently than Android and many other apps (which can only accurately determine the phone's total battery consumption and then uses fixed profiles to estimate the distribution to each app). Instead, we have opted to calculate the phone's realized total battery drain whenever an app is in the foreground and assign all of it to that foreground app. A benefit of this is that some apps have related background services running that the Android usage screen doesn't capture while we do. However, with our foreground method, we'll also capture background processes from other apps and end up assigning this to your foreground app (For example if you turn on an overlay and then stare at the clock app for an hour then all of that gets assigned to the clock app). We think it's a reasonable assumption though as the majority of the battery drain comes from the screen and many of the unrelated background services run regardless of which app is in the foreground. Furthermore, when the screen is off the background services don't get added up to the foreground app usage as nothing is considered to be in the foreground when the screen is turned off. The average battery usage section shows you how we calculate our time remaining estimates and is based on the last 7 days of usage. *Due to Android limitations we are unable to detect screen on time (SOT) while the phone is on but on the lock screen. Therefore our SOT may be lower than what the system shows.